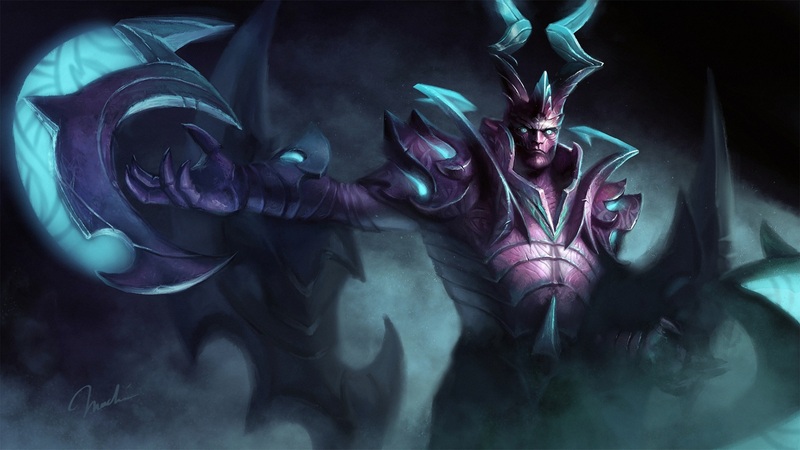 The second biweekly Dota 2 patch brings one of the two newest heroes to competitive play. The next biweekly Dota 2 balance update, Patch 7.10, was released last night on the live servers. The highlight of the patch is the enabling of Dark Willow in Captains Mode, thus making her available for use in professional tournaments. This is the first time Dark Willow will be in Captains Mode since first being released in October of last year, as part of the Dueling Fates update. Dark Willow currently has a win rate of 54.69 percent in the 5,000 MMR and above bracket, according to Dotabuff’s metagame statistics. With a pick rate of 12.27 percent to boot, it’s clear that players higher up on the MMR ladder recognize the hero’s power, even in pub games. Of course, since this will be her first time in Captains Mode, her viability in professional games has yet to be seen. If her stats in the high skill brackets are anything go by, though, it’s entirely possible that we’ll see her as a top tier threat in the next few events. Many talents have also been shuffled around in levels, with some being watered down and some others getting a boost. Crystal Maiden and Lion have had their increased passive gold per minute (GPM) talents bumped up from +90 to +120 per minute, further emphasizing balance master IceFrog’s intent on making life for the less farmed a bit easier. As one of the most popular heroes in the metagame both in pubs and pro games, Tinker was been tuned in this patch. Laser’s mana cost has been increased from 95 to 110 at level 1, making it less spammable in lane. Considering thatg Tinker starts with just 435 mana, this change should curb his lane dominance quite significantly. In addition, the radius at which Laser bounces across multiple heroes when upgraded by Aghanim’s Scepter has been scaled down from 650 to 400 units. Scepter Laser happens to be a devastating teamfighting tool thanks to its damage and blind effect, and this nerf certainly makes it more difficult for players to get the most out of the bounces. Surprisingly, neither Terrorblade’s ultimate ability Sunder nor his talents were not touched at all in this patch. Most pros, analysts, and casters were in unanimous agreement about the ability’s ridiculous power, especially in the wake of the hero’s dominance at ESL One Katowice.